Thank you to Ron Ross for allowing me to reproduce this photo of his prefab house in Gilmerton. "This photo is of the prefab I lived in at 4 Hyvot Terrace from 1949 until 1958. 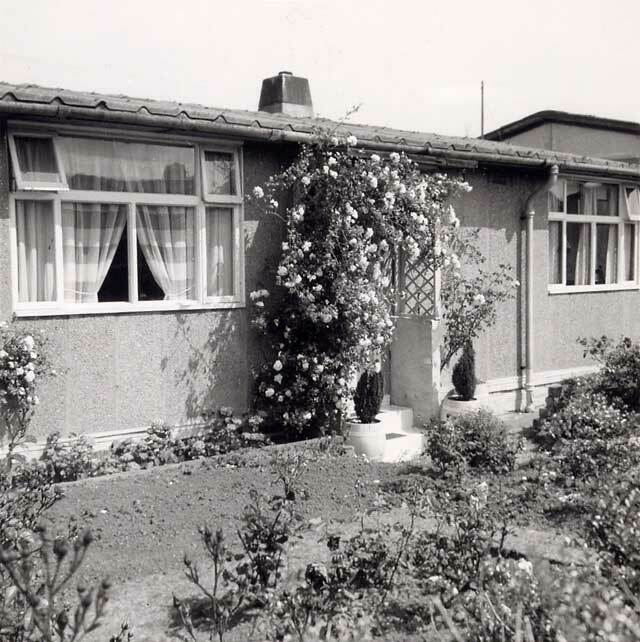 The prefabs were lovely little houses with their own front and back gardens. My dad did a wonderful job in our garden, and it's a pity that the picture is not in colour to show off the roses. The picture was taken in 1961, about a year before the prefabs were all demolished."